Intel CEO Paul Otellini accidentally announced the launch window for Google TV in an interview, along with who he expects the service will appeal to. Intel CEO Paul Otellini sat down with the Wall Street Journal for a quick talk in which he touched on some of the more interesting projects and goings-on at the world’s biggest chip company. He glanced over the aqcuisition of mobile chipmaker Infineon, noting that smartphones with Intel chips will finally see release in 2011. More interesting, and more pressing, are his comments on Google TV. So Intel is totally invested in Google TV, and it makes sense that Otellini would be asked to comment on Google TV’s chances against Apple TV. You might think he’s being diplomatic when he says, “I also believe there are probably households that one will appeal to and the other won’t,” but I actually agree with him. The two products are fundamentally different–as I’ve said before, Google TV is a supplement, while Apple TV is an addition. He specifies that the Apple TV might appeal to technophobes due to its simplicity, aping the “Mom” example I used a few months ago, while the Google TV might appeal to his son, who might want more options. 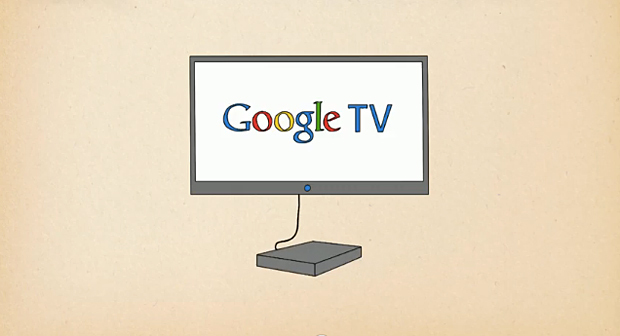 Nobody has really seen how Google TV works in the day-to-day, so it’s hard to tell if he’s right. While Apple TV is something familiar (after all, it can’t do anything existing products like Boxee, XBMC, or Windows Media Center can’t already handle), Google TV is a big new paradigm for the living room. It might take off like Android, or fail due to lack of understanding, like Google Wave. But Intel, at least, appears to be confident. Otellini also spilled the beans on a release date, specifying “this month” (meaning September). He didn’t mention in which form Google TV would first arrive–embedded inside Sony HDTVs seems likely–but even merely stating the release month is sort of surprising and sloppy. Google hasn’t announced a date yet–why is the Intel CEO mouthing off about it? Hopefully Google TV doesn’t succumb to the same sloppiness.